Whether you’re after a designer jacket or a handmade leather bag crafted to your own specifications, Florence has it all and then some. Here are some places to fill those stockings like a real Florentine. 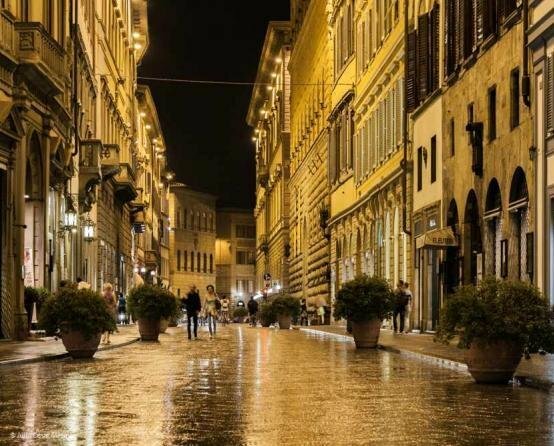 Via Tornabuoni is a ancient street in the centre of Florence, home to some of the world’s most stylish fashion boutiques. This is where designer brands such as Gucci, Cavalli and Ferragamo have set up shop, and there are some of the world’s most precious jewellery here too, from Bulgari to Buccellati. It’s like a disneyland for designer brands in a gorgeous Renaissance setting. But don’t worry, even if you’re not in the market for a Gucci bag, window shopping here is an event in itself. There is no time at which a gift of perfume is not appropriate. 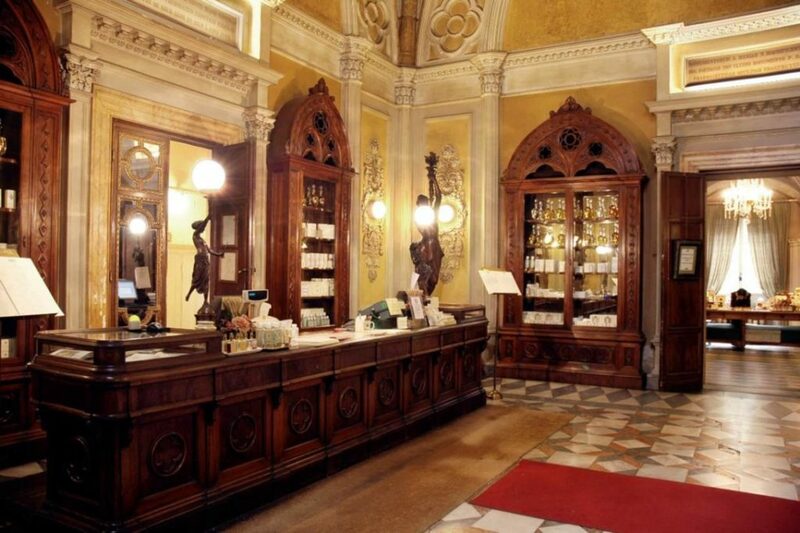 And there is no more appropriate place in Florence to shop for it than at its oldest perfumery. A magical and historic shop, it is said that it once created a perfume for Catherine de’ Medici herself. Today the shop still sells original perfumes, eau de colognes and essences. 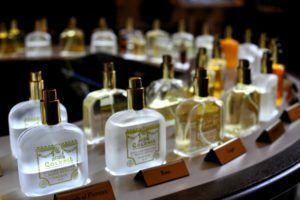 It also produces its own versions of Liquore Mediceo, Elisir di China, smelling salts and Acqua di Santa Maria Novella, an ancient recipe recognised for its calming properties. Something you may need when you see the prices. Florence has been famous for leather goods since time immemorial. And this is the largest genuine leather laboratory and school in Florence. 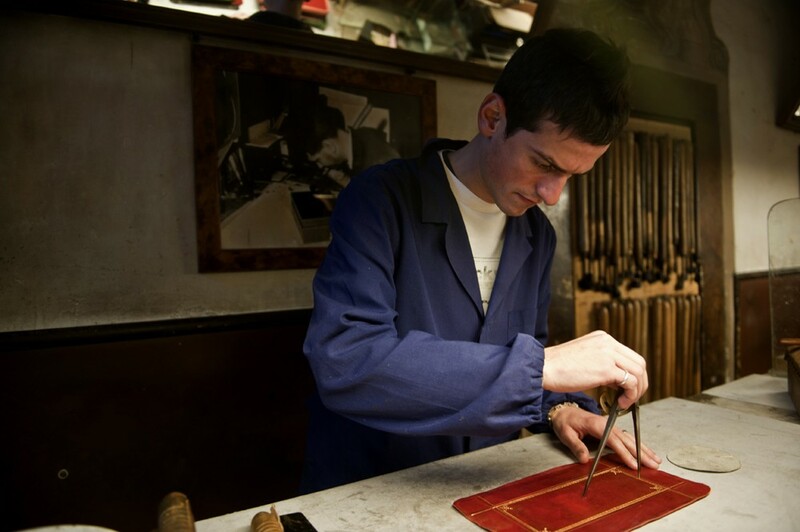 A place where clients can watch Florentine leather workers at their craft. Handbags are an important part of the collection, and here you are able to talk with a craftsperson who will create and design your own bag just the way you want it. Everything is made by hand using traditional methods. A wonderful way to take home a genuine piece of Florentine craftsmanship. 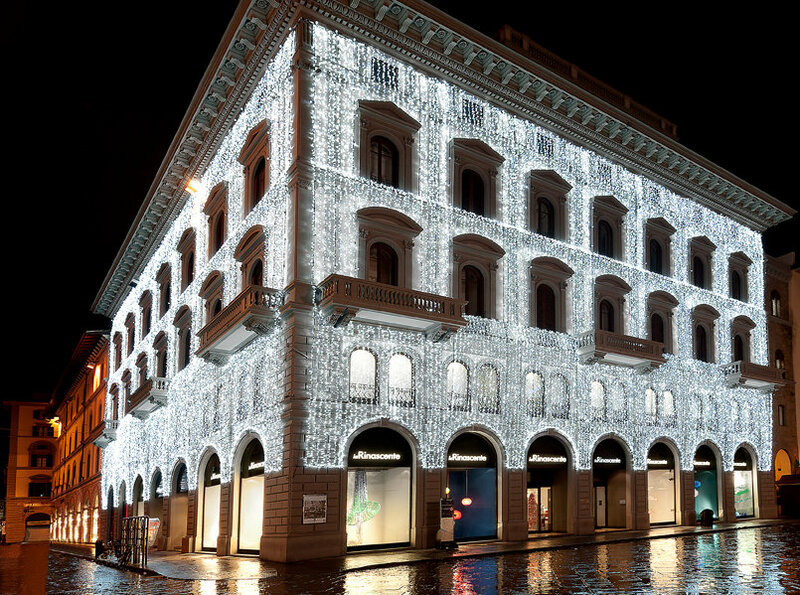 In Piazza della Repubblica there’s a wonderful department store that features some top Italian brands and more affordable objects. Everything from clothes to watches and homeware, it’s a boon for anyone who’s not sure what they’re after. The store itself makes for a pleasant shopping experience when the crowds on Via dei Calzaiuoli get a bit too much. 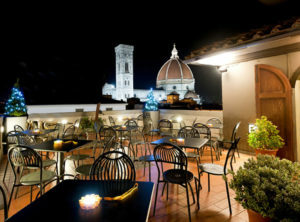 They always have stunning Christmas decorations and there’s a cafe at the top with a breathtaking views over Florence. 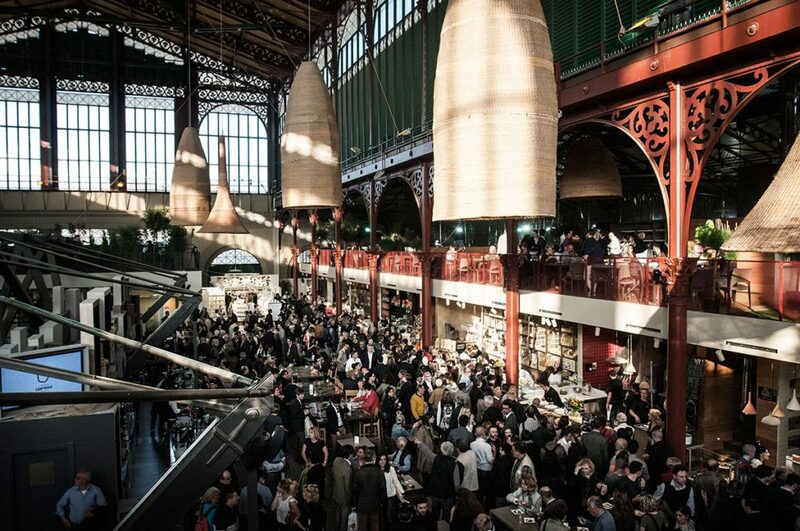 Food is central to the Tuscan experience and no trip to Florence would be complete without a pit stop at San Lorenzo food market. Next to San Lorenzo church this is a closed food market selling all manner of delicacies on the bottom floor. You can take home everything from artisan pasta to Chianti Classico wine and bags of porcini mushrooms. It’s the perfect place for edible stocking fillers. Meanwhile upstairs things are a bit more contemporary. Here you can grab a slice of pizza or have a sit down meal at one of the stylish restaurants. Eataly has a shop here and there’s wine tasting too. And one more thing. 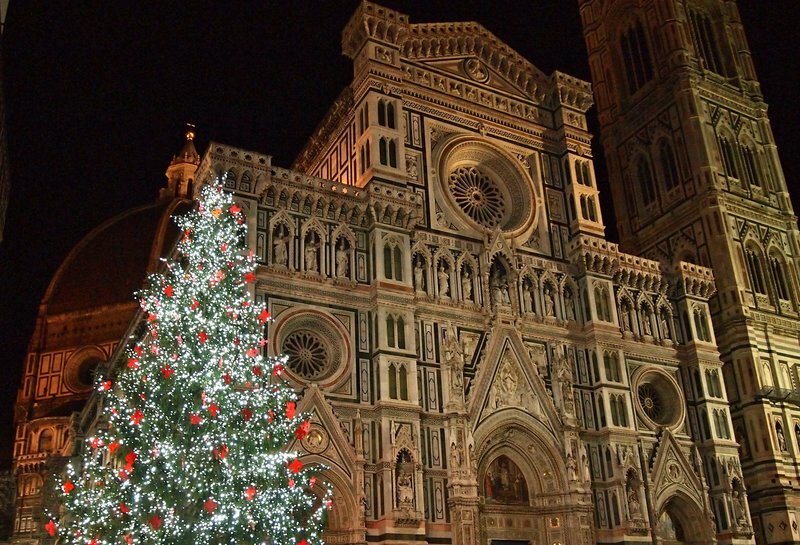 If you are heading to Florence over the Christmas period, be sure to go and admire the huge Christmas tree in front of the Cathedral in Piazza Duomo. Happy shopping! Ben Carson is a travel writer based in Florence, and co-founder of the website LoveFromTuscany.com, an insider’s travel guide to Tuscany.